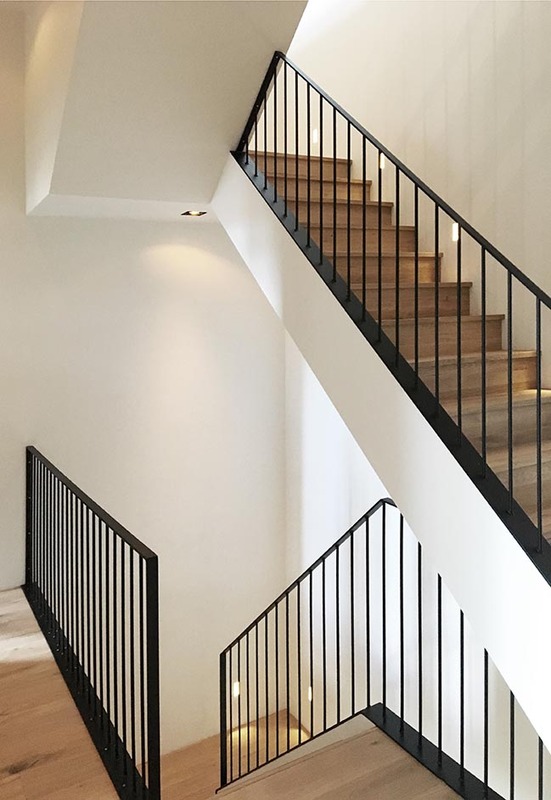 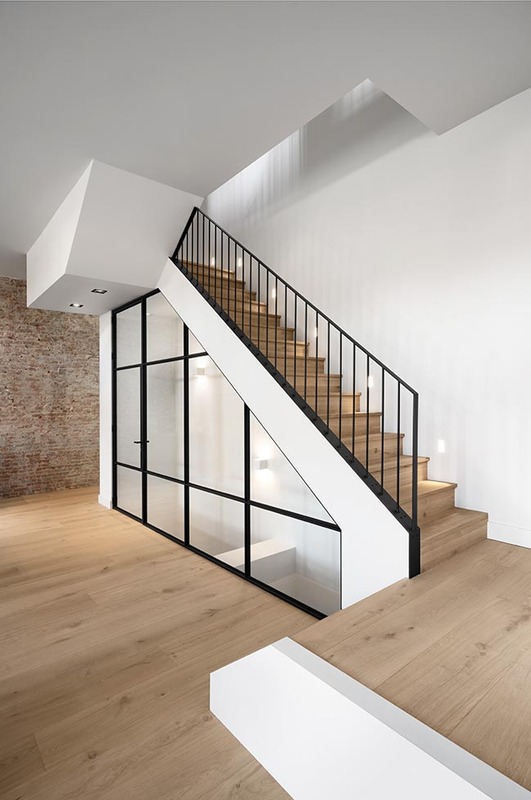 By introducing a new oak staircase with slender steel railings, the living room on the ground floor is connected to the basement on the one hand and the sleeping floor for the children and the multifunctional attic floor on the other. 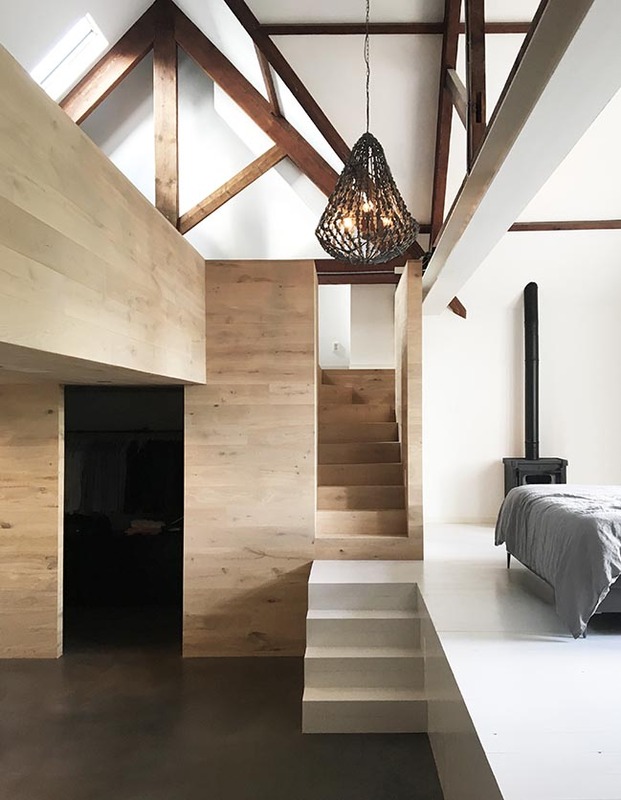 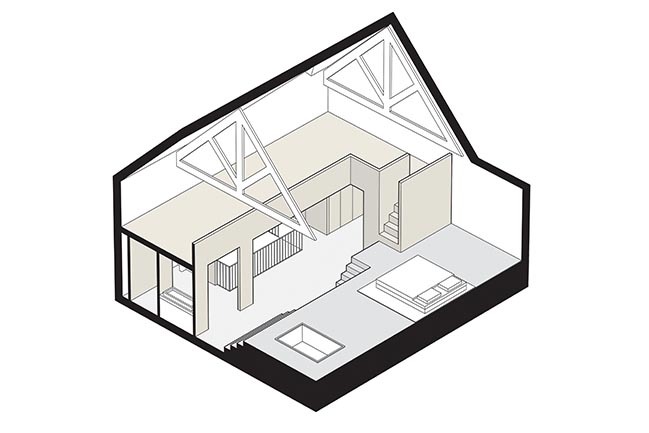 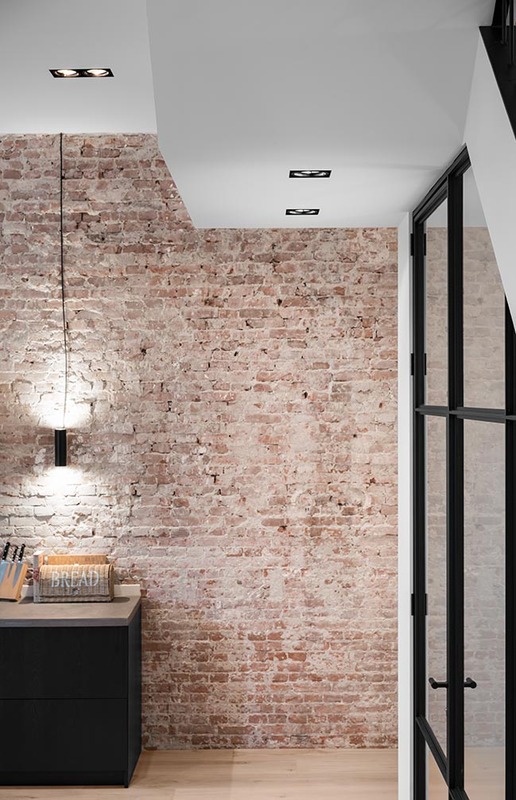 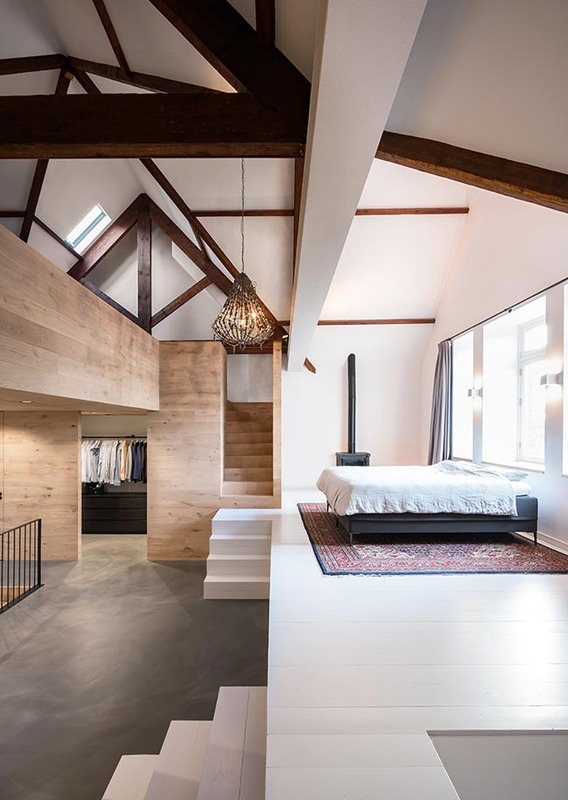 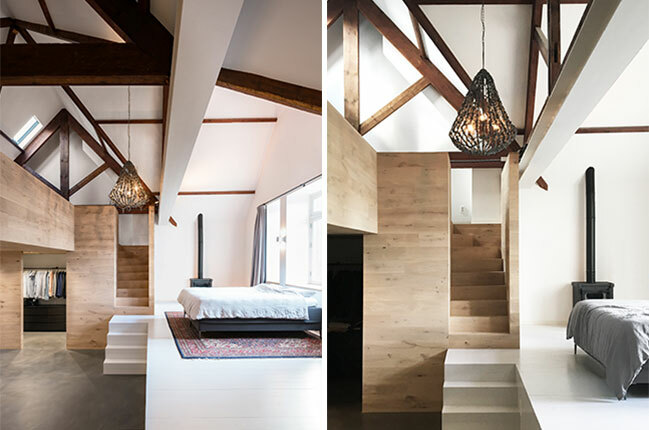 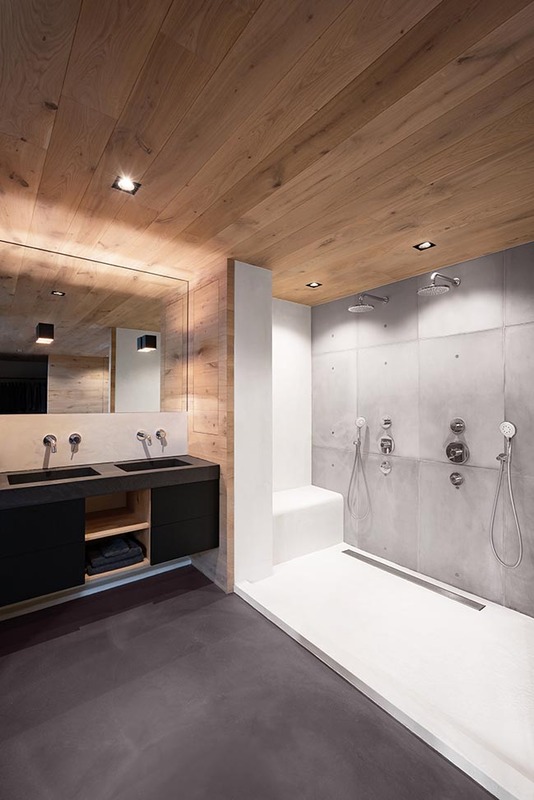 By introducing a robust oak element in this attic, the large space with authentic trusses is divided into a sleeping area with Jacuzzi, a bathroom, a walk-in closet and a mezzanine with workplaces. 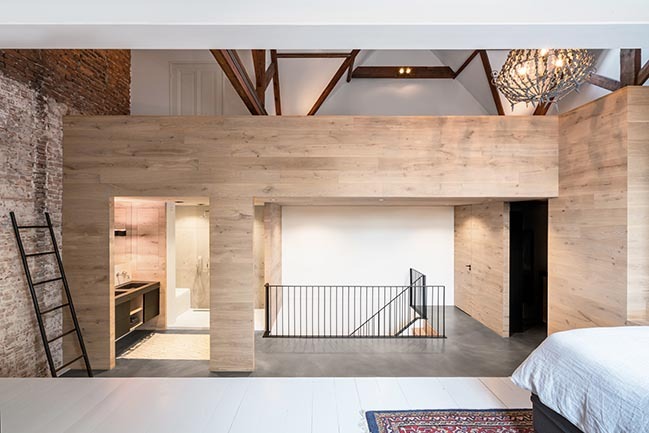 The bed and Jacuzzi are embedded in an elevated stage.